Ready to become a homeowner? Check out the top 5 things you shouldn't do if you're applying for a home loan. What should you do in a tight home buying market? Check out the infographic for tips on winning the bid! Want your pet to feel welcome in your new home? Read this blog to help make sure your dog feels at home. Getting ready to buy a home? Here's 3 of the most common items you'll be asked to provide. 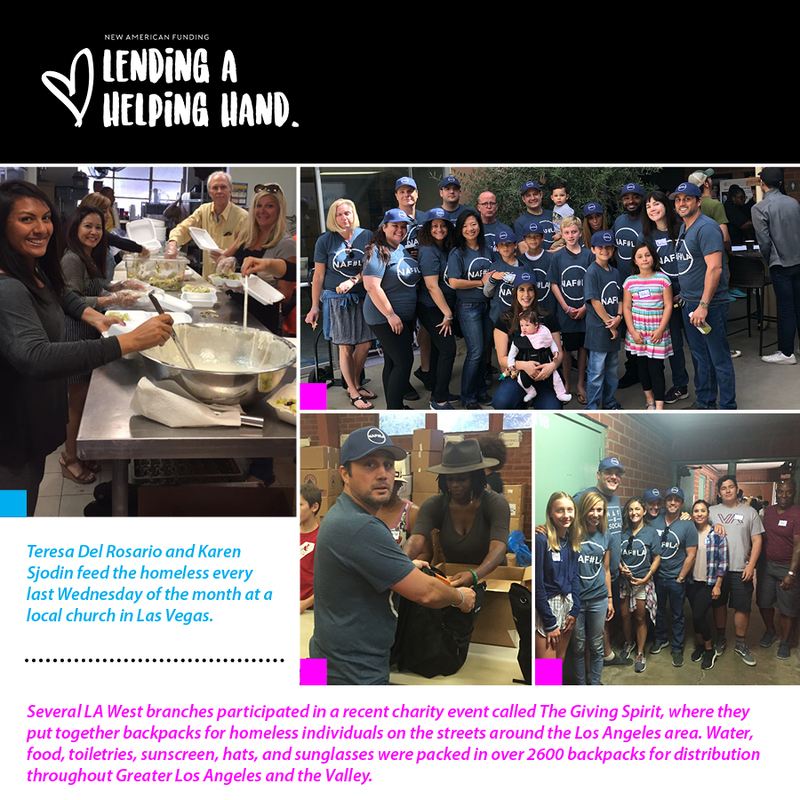 New American Funding employees volunteering their time feeding the homeless in Las Vegas. New American Funding employee Michael Luna rappels down City Hall for Veterans through Habitat for Humanity of Riverside.